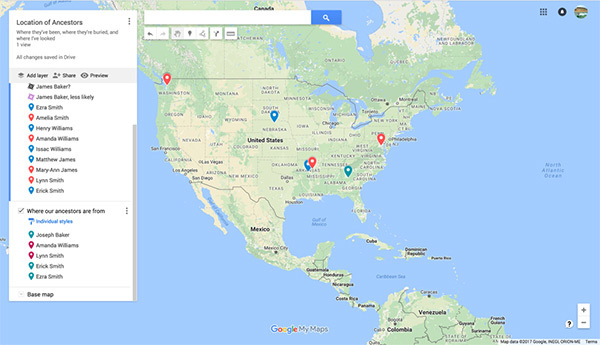 This is the second of a three-part series exploring how to use Google Maps and other apps on genealogy research trips. Read part one and part three. 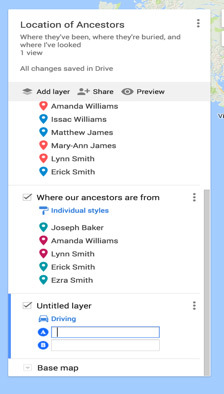 In part one of this series, we talked about how to place markers in Google Maps for where you and your ancestors have been. This time we’ll talk about how to get to some of those markers. 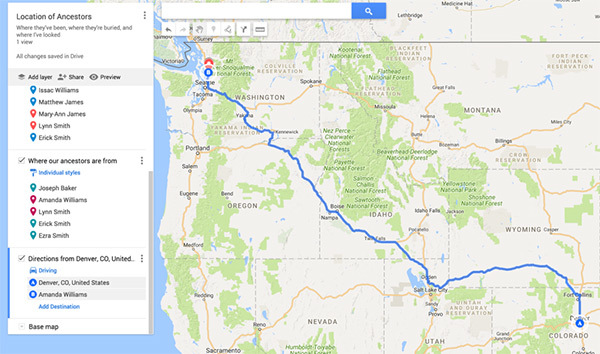 Adding another layer to your map chart can help you plan your trip. Click on the arrows below the search bar to add directions. 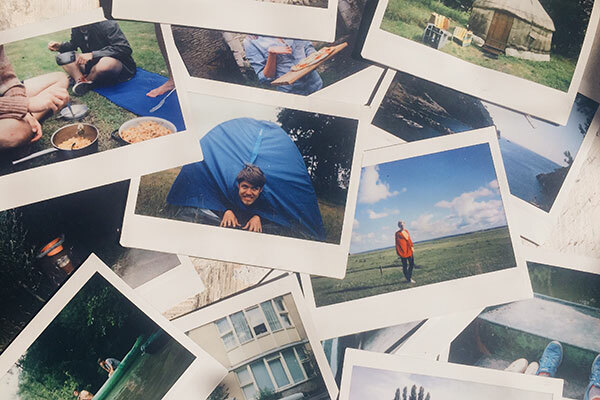 When you do, you’ll see another layer appear at the bottom of your list. Like before, you can rename the layer according to what you’ll be using it for. 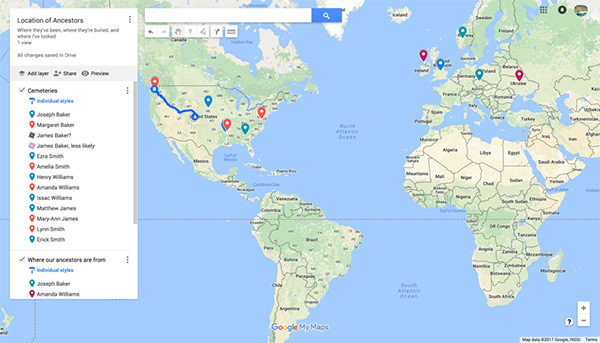 On point A you can type in where you and your family will start your trip. You can then click on the pointer marking the location you want to travel to, and you will get a route from point A to point B. 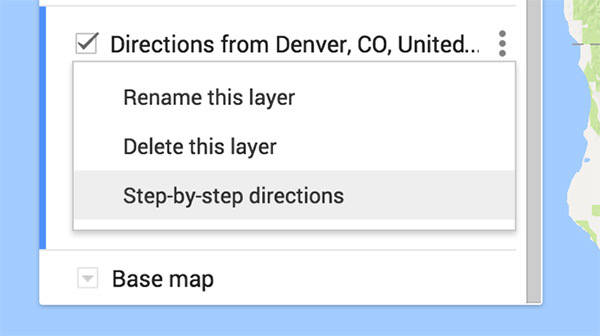 After you have the route, you can find clear directions by clicking on the three vertical dots on your layer and choosing Step-by-step directions. Once you have this information figured out, how do you send it to your family? On the top of your layers list on the left side of the page, you’ll see the option to Share between Add layer and Preview. When you click Share, you can copy the link provided at the top of the screen and send the link via email to your family members. 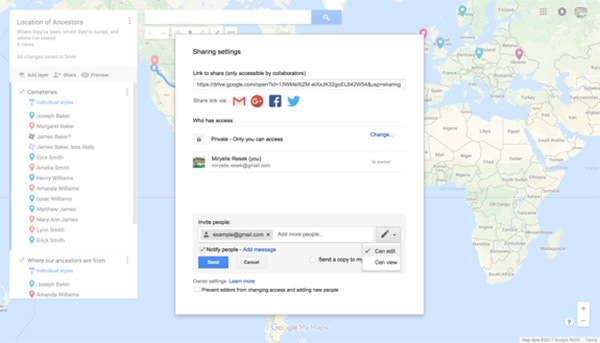 In the Sharing settings box, you can invite people to edit or view the map you are sending. 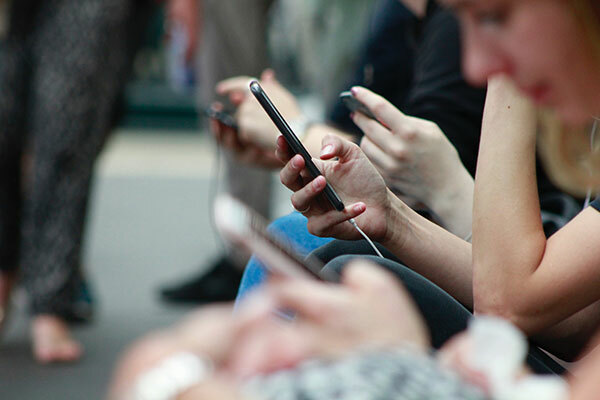 Once your family members receive your email, they can open the map and work with you on adding information for your trip. 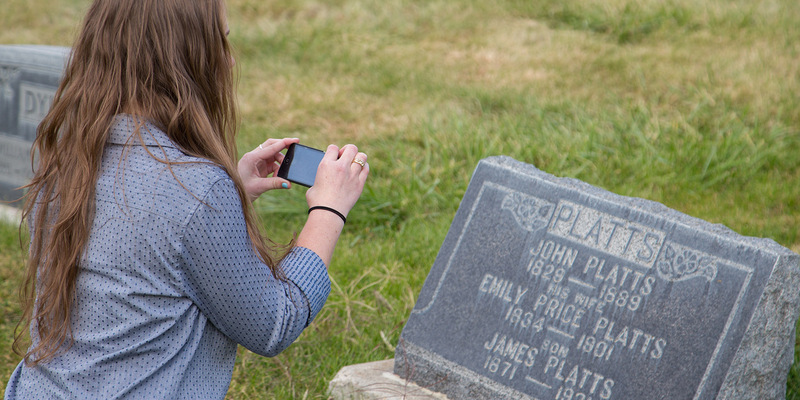 Stay tuned next time as we discuss other apps that can help locate your ancestors. 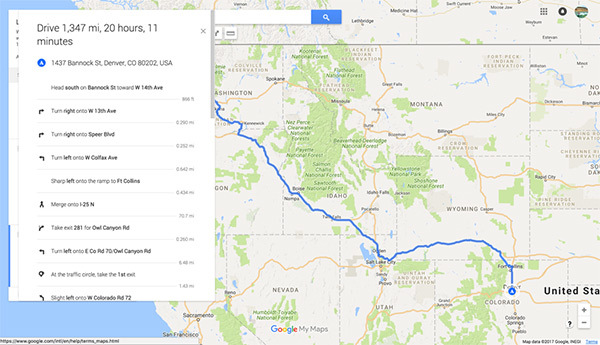 Have you used Google Maps for a genealogy road trip? Tweet us your story @RootsTechConf!